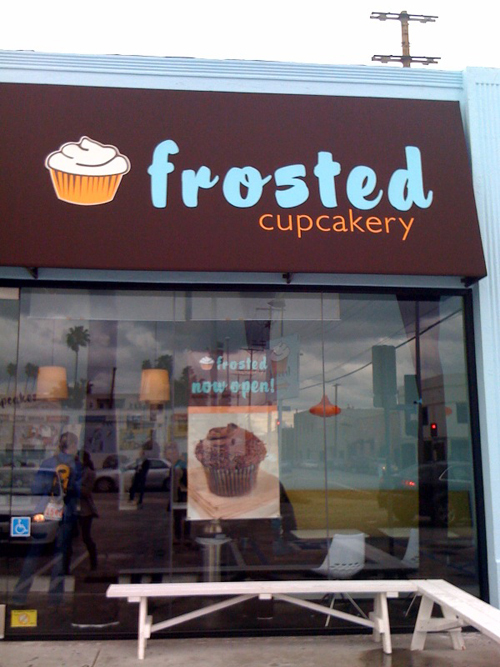 When I was in LA, I hauled down the street with my coworkers to check out a cupcake cafe that was spotted. 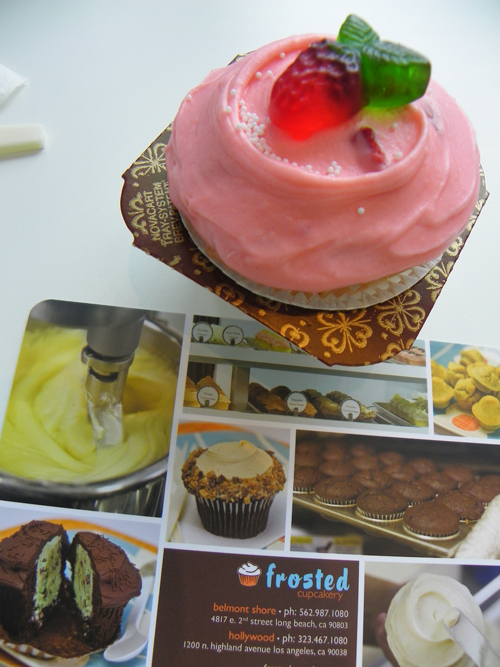 It turned out to be Frosted Cupcakery. I loved the shop - the colors are so cute, brown, sky blue and orange. And the cupcakes were creative and delicious! I would definitely go back. This is my all-time fave cupcake joint. Not Magnolia, nor Sprinkles, Crumbs, Kara's or any other place (yes, I've tried them all, plus more!). Really super tasty and the perfect ratio of frosting to cake. Soooo fresh!! !